The Google Play store is a familiar place for users of Android devices. It’s often described as this really cool online hangout where you can purchase just about anything – from the latest movies to the newest online games, apps, music, magazines and even television programs. But did you know there are many legitimate online sites and apps which can offer you myriad ways to earn free Google Play credit – which is like virtual currency for the Google Play store – to pay for all these goodies that you would like to buy? Let me tell you how you can get your hands on free Google Play credits to fund your next purchases on the Google Play store – without using any cash or credit card. Here are-“21 simple and legitimate ways to earn Google Play credits for free”. And the best part, once you have acquired the credits, you can use them as and when you want to. Everybody knows Swagbucks – the popular rewards & money making app where you can earn well, SBs, for completing simple tasks like taking online surveys, playing games, watching sponsored videos or even shopping online. But did you know that once your touch 1,000 SB – you have the option to encash them for $10 in free Google Play credits? This marvellous rewards app for both Android and iOS users also follows a similar format. Users get rewarded with Nana points for downloading trending apps and playing games using this app. Once you have adequate Nanas to your credit, you can quickly get them redeemed for free Google Play credit (or Amazon iTunes/Xbox gift cards). Launched in 2010 by Microsoft, the Bing Rewards program rewards users for using its search engine Bing, its new features and other related tasks. What’s more, as long as you are signed onto your Bing account, you can continue to earn Google Play credits while using any device. However, it's a multi-tiered program, so higher level members enjoy access to more credits. One way of redeeming your Google Play credits is by choosing an Amazon Gift card – which you can then exchange on the site for gift cards of your choice, including Google Play. One of the best apps to earn Google Play credits is with Boom Gift. This reward generating app is pretty straightforward. All you need to do is download the app (available on both Google Play store and iOS). Try the free apps to earn yourself some reward coins and once you have hit the minimum needed – you can simply get it redeemed for free gift cards, including Google Play credit. Nice and simple. The company claims to have already redeemed $12, 000, 000-worth of gift cards till date. Available for both Android and Apple devices, this rewards app is all about trying out different free apps – for just a minute – and earning points for your effort. You can also receive 50% of the points made by your friends simply by referring them. These points can then, in turn, be redeemed for an array of prizes which includes; paid apps, iTunes, Amazon, Starbucks, PayPal cash, and of course to earn Google Play gift cards. This is where you can get your hands on heavily discounted Google Play gift cards which are listed on sale every day on their website and/or free app of this online marketplace. You get to choose the best deal from a variety of sellers online. For added peace of mind, this site also offers the Gameflip Guarantee promise, where you can buy your discounted Google Play gift cards or get free money as well. This online marketplace buys & sells discounted gift cards posted onsite by sellers. Some of the top choices available here include gift cards from; Google Play, Dunkin Donuts, Apple (not iTunes), Barnes & Noble and Costco among others. Users also have the option of signing up for a Gift Card Granny account and earn free Google Play gift credits as well as other alternative rewards and gift cards. 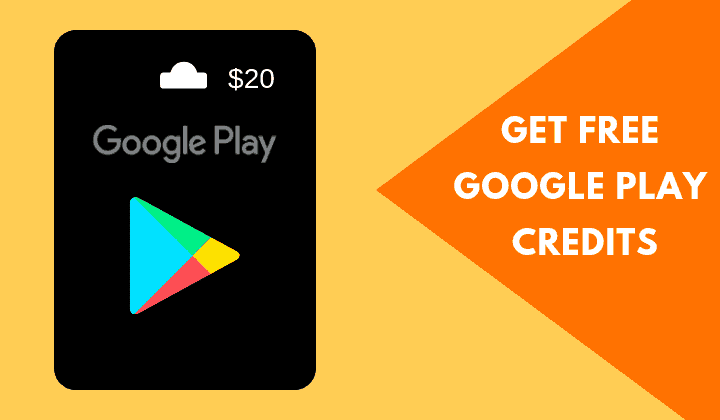 If you enjoy taking part in online surveys sites than this is one of the easiest ways to earn Google Play credits for free. Downloadable free from the Android store, all you have to do is sign up for an account, complete the surveys and receive the credit – once you’re done. The earnings themselves are not much and average approx. 25c for each short survey. But on the plus side, the credits you earn are added immediately to your Google Play account. Done right, you can make anywhere $10-20 in free Google Play credit every month. Another best way to get free Google Play credits is via InstaGC. On this site you stand to earn points for things that you may be doing already like watching videos, shopping online, taking surveys and searching the Web. The points are digitally delivered to your account and can be redeemed for a choice between 350-plus gift cards including Google Play credit. You also get to choose how you want to use them – in-store or online – else you can also opt to gift them to a friend. As per the site, over 1,127,600+ gift cards have been redeemed till date. Available for both Android and Apple devices, this app offers rewards in the form of – coins – to users for completing simple, easy-to-do tasks. Most of the time the tasks involve downloading free apps, that’s it. In return this app rewards you with points which you can redeem for gift cards from Amazon, iTunes and of course earn Google Play credits as well. The Google Play gift card is currently available in three denominations namely $10, $25 and $50. You also stand to make 20 points for merely sharing this app with your pals on your social media platforms like FB, Instagram and Twitter. Another free online rewards program, Points2Shop allows you to earn cash (or virtual points) playing online games, engaging in shopping online, watching videos and completing videos. Users can then redeem these points for an array of rewards available on their website – which includes Google Play gift cards and other exciting game cards. You can also choose to earn on the go by downloading their free app. Thus helps you to earn free Google Play rewards with ease. With TapCash Rewards you can earn Google Play money (or PayPal cash) simply by connecting it with your Facebook account. But do make sure your FB account is enabled for sharing to get these fantastic Google Play credits for referring your friends. For every 10 friends you get onboard you stand to make a cool $10. You can also win Google Play credit and choose from 15 other gift card options by trying out some free apps, games and watching fun videos using this app. This app also rewards you with free Google Play credits for completing simple tasks. You can also earn more by connecting it with your FB account by using the code that pops on your phone screen. Tasks include downloading other apps and keeping them on your device (without deleting them) and web browsing among other things. The longer you keep the apps on your phone – the more you stand a chance to earn Google Play credits for free. With each app, you can make anywhere between 10-75 cents. For virtual money hoarders, the app has added Bitcoin and Ethereum to its list of payment options. Do you want to be rewarded with free Google Play credit, Amazon & Xbox gift cards and free in-game currencies (Fifa coins, diamonds etc.)? Then download this reward app and register with your verified Facebook account. You will be rewarded with Google Play money for every app, video and game that you try. A recently added bonus. You can now earn even more Google Play credits by watching videos from your favourite YouTube streamers. Members have thus far redeemed over $31mn in gift cards using this app. This lock screen app will actually reward you with points in return for putting ads and content on your lock screen. This way you get paid every day just for having the lock screen installed – regardless of the number of times that you actually use it. You can also do surveys, download apps, do free trials and refer your friends to earn more points. The can then be redeemed for Google Play credit, cash and gift cards from leading retailers including Target, Amazon, Gamestop, Starbucks and more. If you buy a Chromecast device or even register a device that you own currently it’s possible you could get free Google Play credits with an existing Chromecast special offer. As with all offers, they tend to fluctuate – so you could end up making as little as $6 in Google Play credits or even up to $30 – depending entirely on what the offer is at that point of time. It’s also possible for earning handy credit for merely registering your device – although this may not be the case every time. To check for current offers, try clicking on the Google Home button on your device. One of the easiest ways to earn Google Play credits is by registering your Samsung device. Samsung Electronics, the South Korean electronics and mobile phone major, is also known to offer exciting free Google Play credit codes for many of its devices. A user can sometimes win credits for merely registering his device online, while the company is known to offer a Google Play gift card valued at $25 on certain other select devices. To know if you’re missing out on a similar offer you will need to register your Samsung device today. Have you tried getting a Costco membership yet? This renowned wholesale store is known to put its gift cards – including free Google Play credits – for sale for prices that could make your jaws drop. It also frequently runs special promotions wherein members stand to win $50-100 Google Play cards for much less than their actual value. Two excellent reasons why their membership which costs approx. A $50/per year is always in high demand. This mobile app is similar to the S’more app listed above. It is the best way to earn Google Play credits as well as win PayPal cash for viewing ads on your mobile’s lock screen. But lest you think this could be a major nuisance, the fact is it’s not. The app quickly learns your preference depending on which ads you click on and then only shows you those ads which it think are relevant to your choices. You can also swipe on ads (which you don’t like) anytime or click on the ones you do. Even if you don’t view a single ad, you will still be paid for just keeping the app on your phone. This app gives you the opportunity to win a Chromebook, iPhone, Samsung Note 3, Notebooks, XBOX ONE, PS4, Watches, Gift Cards, and many other fabulous prizes just for inviting a friend. You can also earn unlimited raffle tickets and increase your odds of winning the big award. This in addition to earning what they call – Juno Credits – for making calls, doing surveys, playing games and watching videos. You can then redeem your Juno Points for your choice of gift cards which includes free Google Play credits or a host of other retailers which include; Starbucks, Nike, Gamestop, iTunes and Amazon. This is a well-known online platform that offers a slew of rewards ranging from free Google Play credit, gift cards from Amazon, Walmart, BurgerKing and cash via PayPal. Already being used by an estimated 7 million people from around the world, this platform has paid in excess of $11mn in rewards over the last few years alone. And what do you have to do to claim the cash or Google Play credit? Just sign up with them and take part in market research surveys. 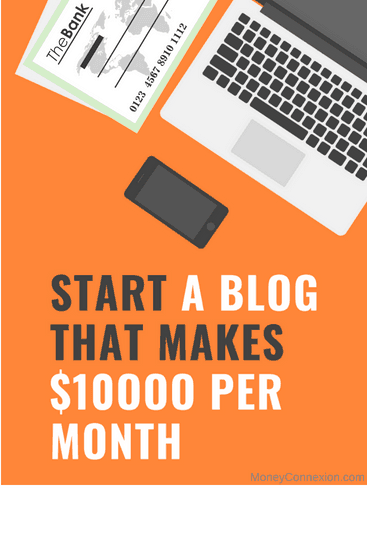 That’s it, and you will be rewarded with PayPal cash or free gift cards – depending on what you choose. While these are several genuine apps and sites where you can earn free Google Play credits, there is an equal number of fraudulent sites online that you need to watch out for. Hence always make it a point to verify the veracity of the site (or app) before using it.